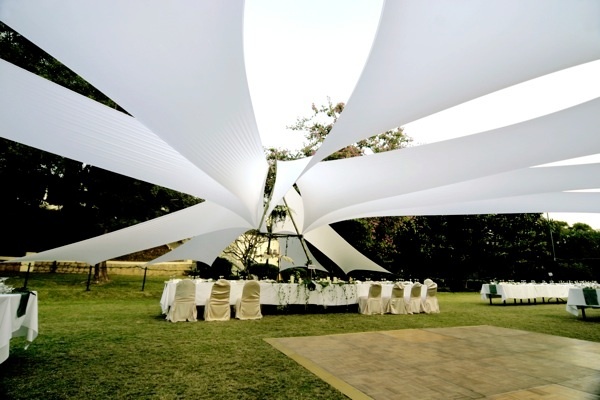 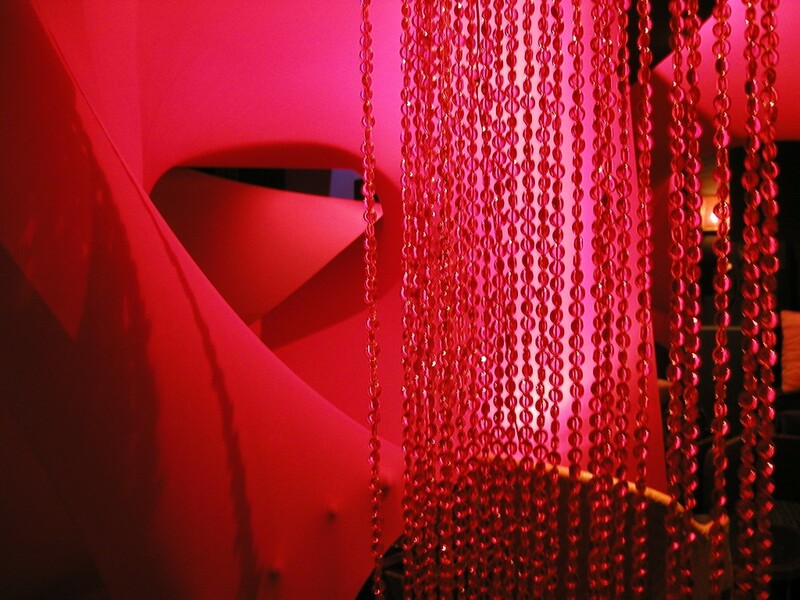 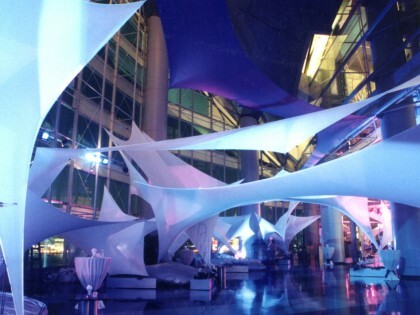 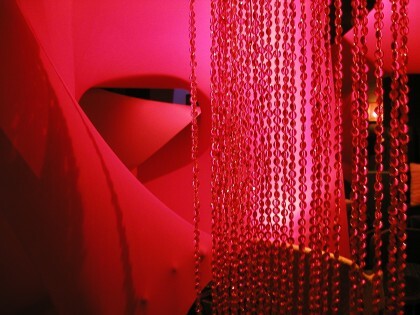 We have specialised in tensioned fabric installations and sculptures for over 18 years. 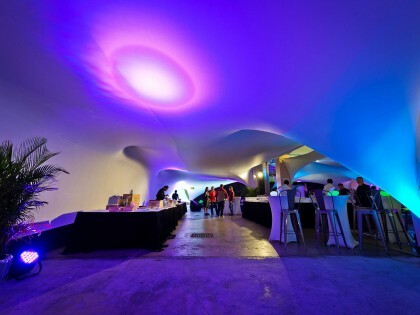 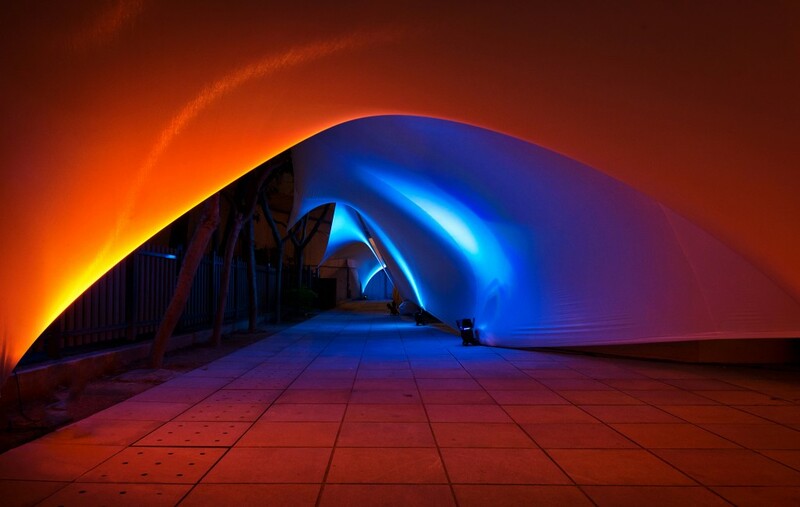 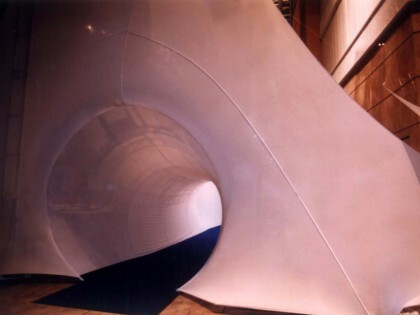 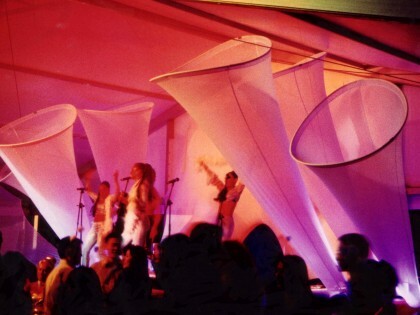 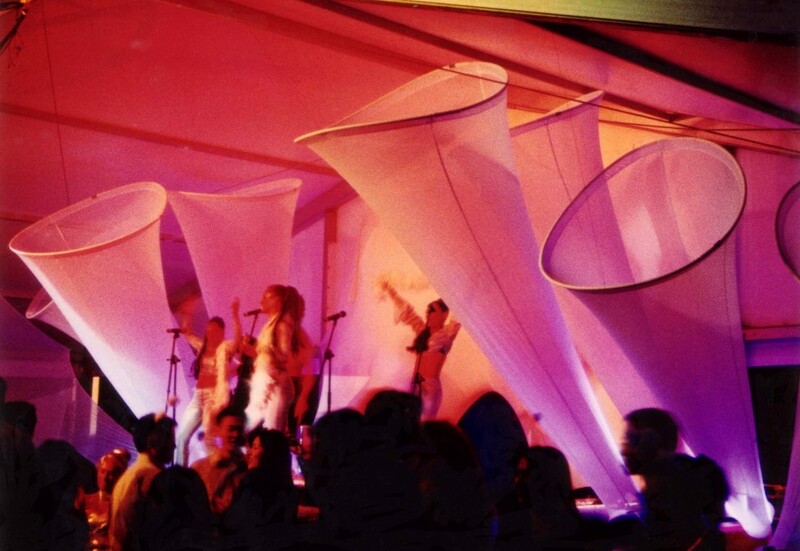 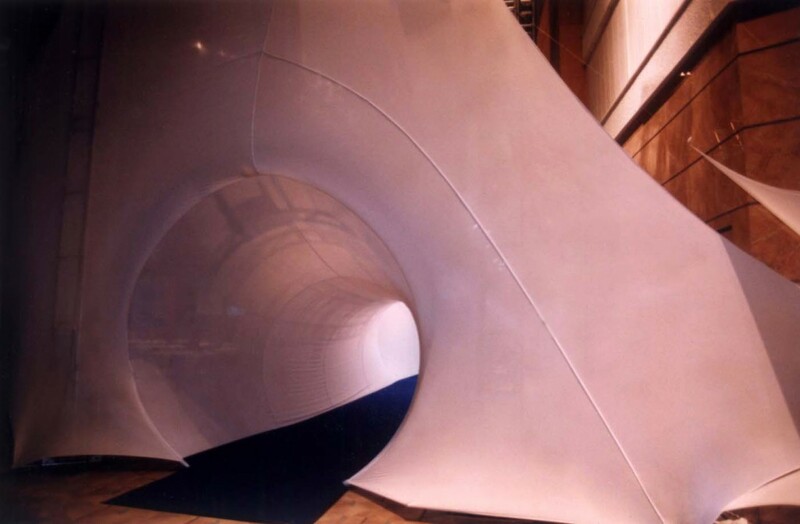 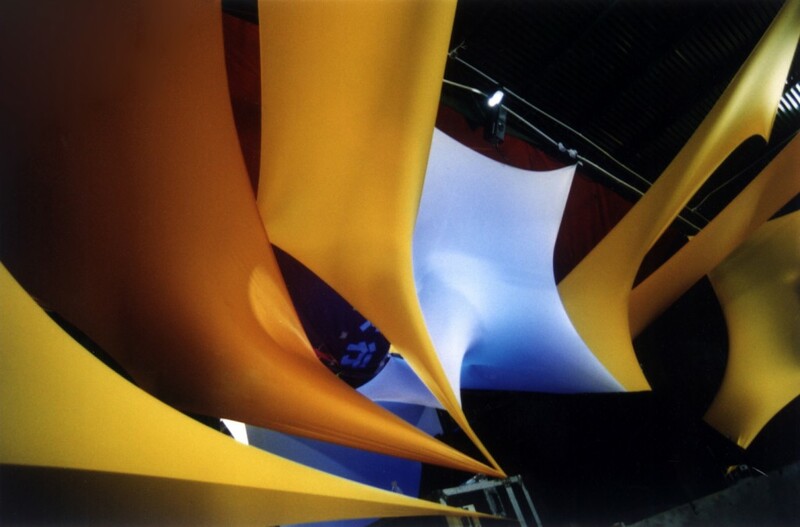 We design and create tensioned fabric forms for stage sets, entryways & tunnels, exhibitions and events. 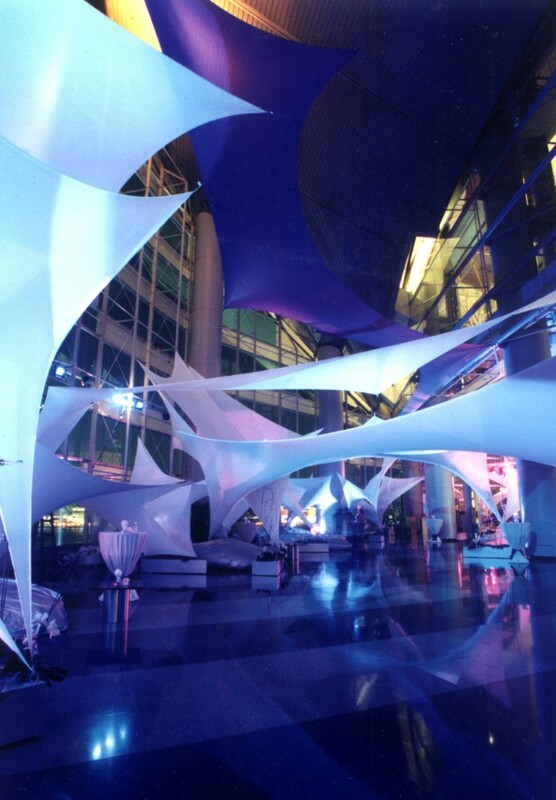 Our experience in freestyle tensioned fabric structures and canopies is second to none. 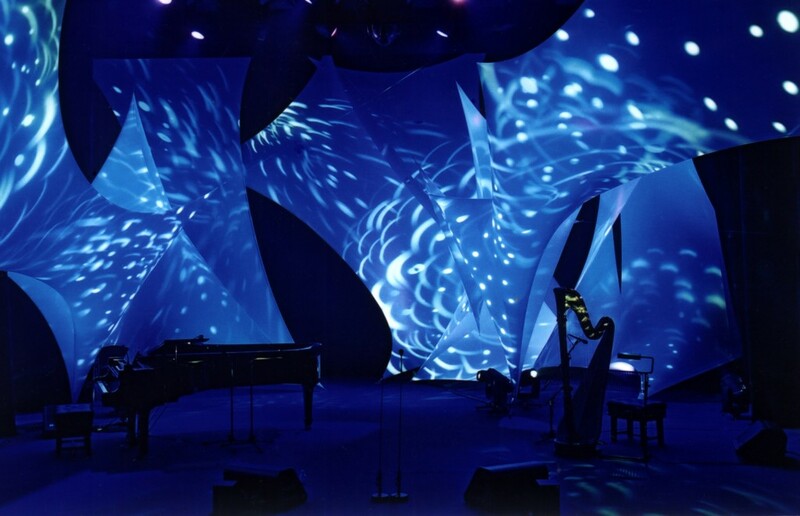 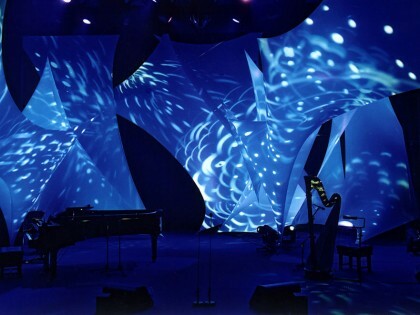 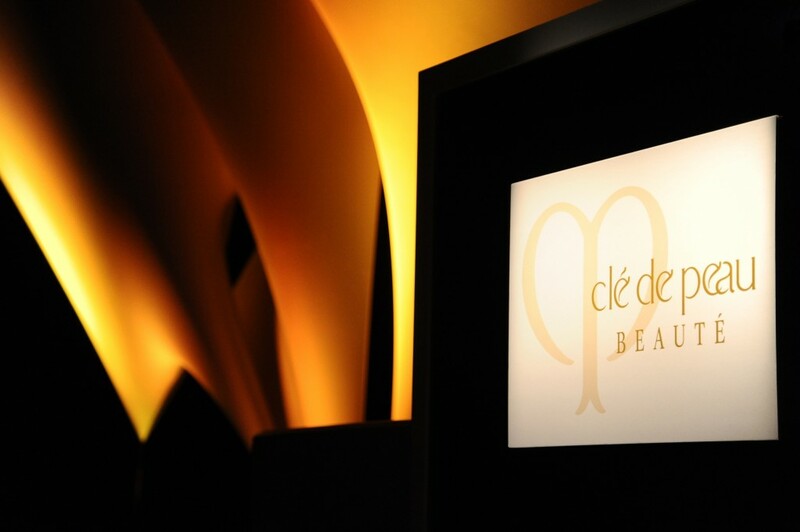 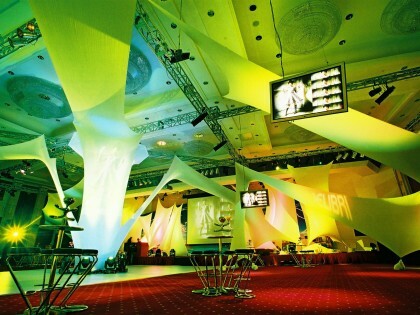 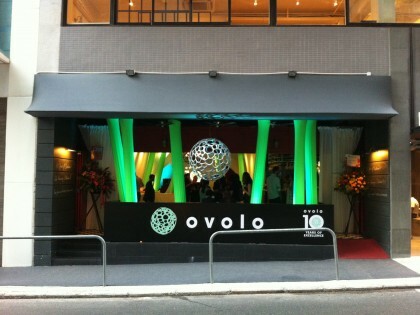 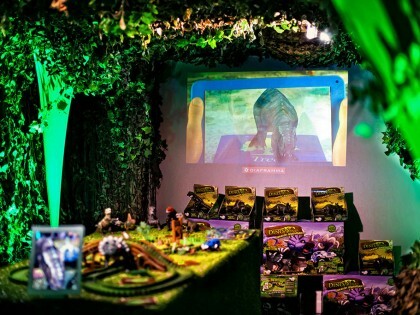 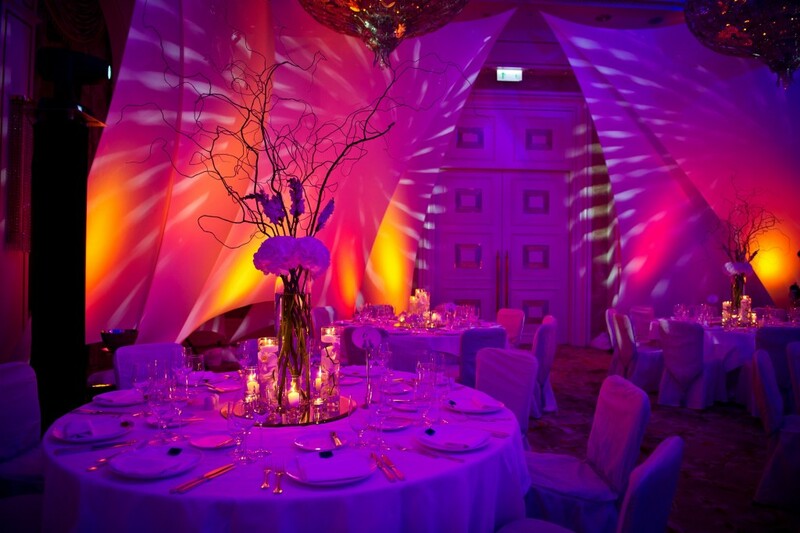 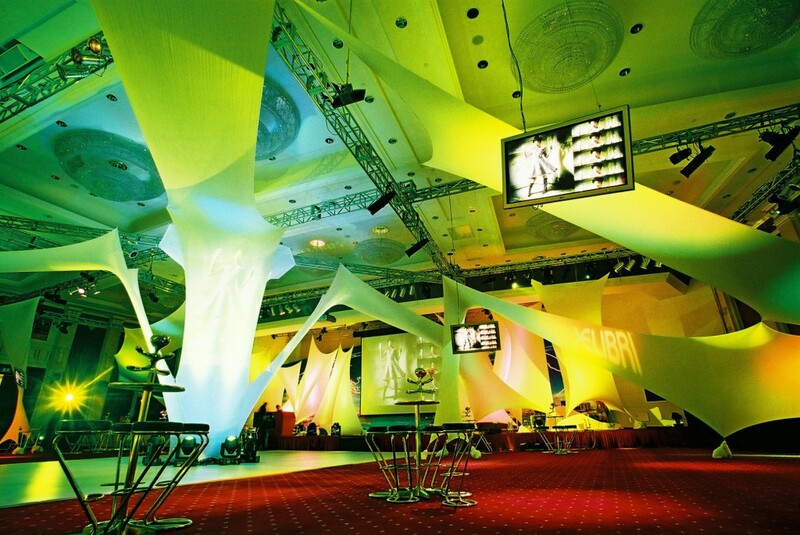 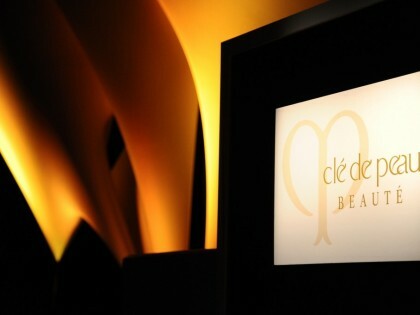 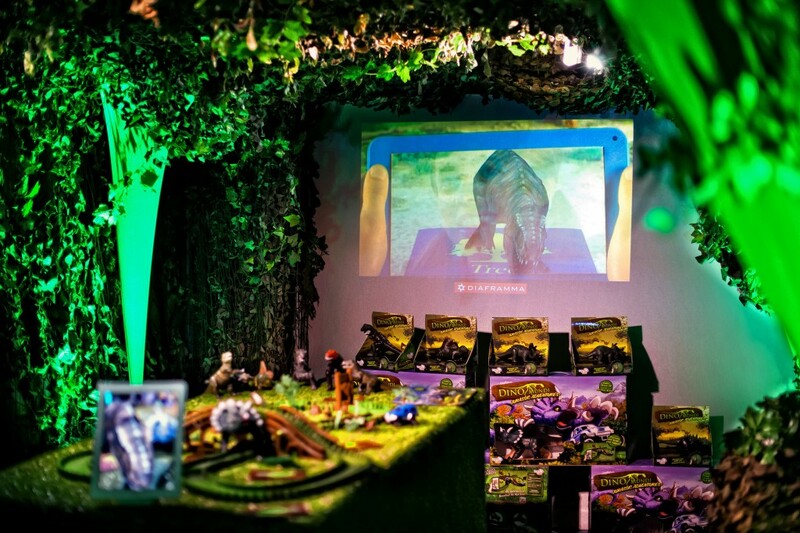 We treat each project as an individual art piece, integrating lighting, video and special effects. 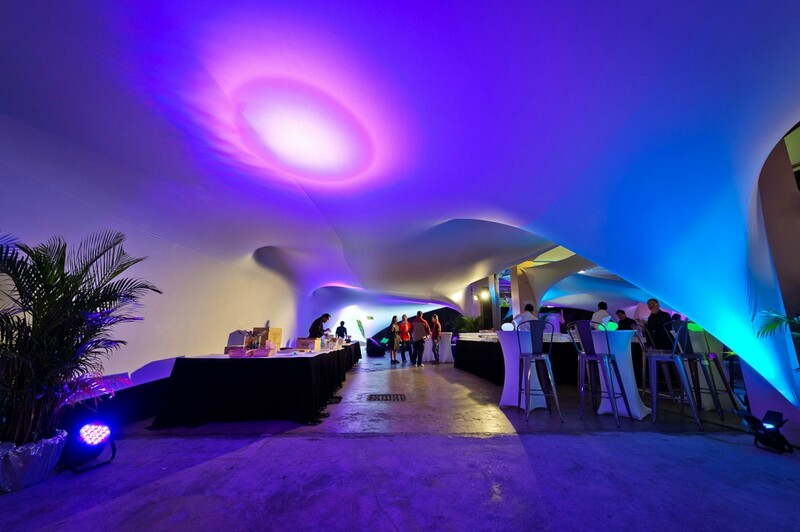 These organic shapes and smooth forms are both futuristic and elegant, yet nestle in perfectly amongst historical buildings and classical venues. 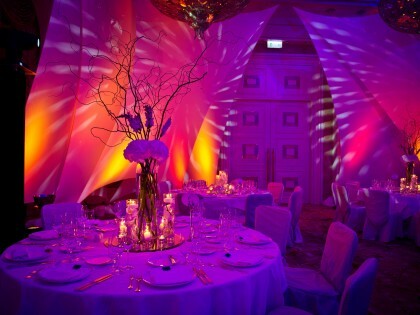 Our ability to create unique spaces, dramatically changing the ambiance is why we are the premier providers of this service. 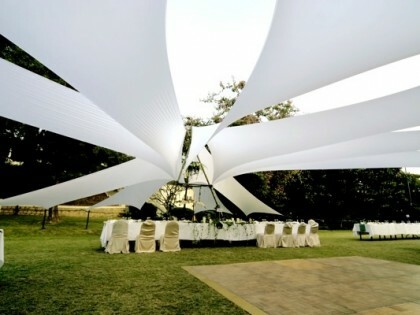 View Our Portfolio to see more. 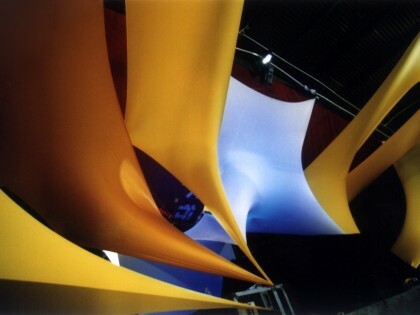 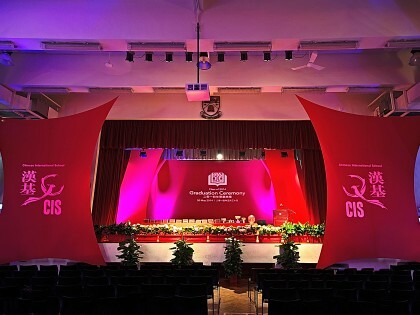 The two images above show a perfect example how our tensioned fabric can transform even the most difficult venues, in a way that is totally unique. 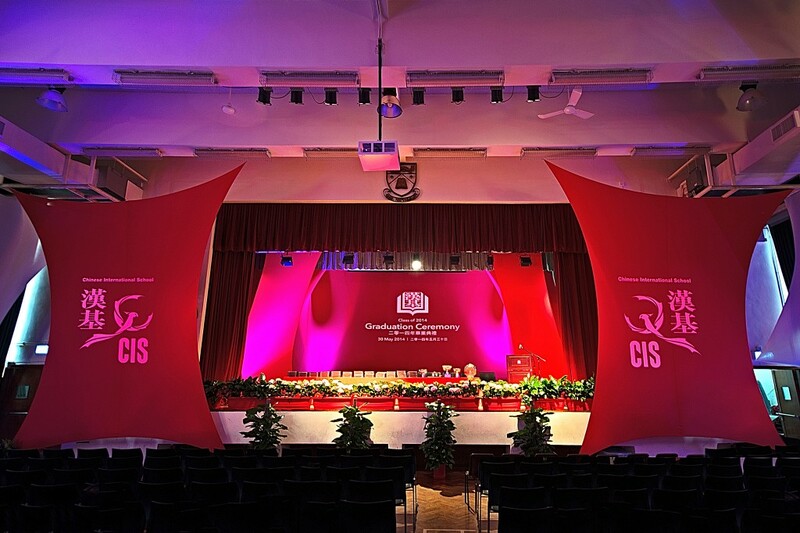 On the left you’ll see the drab looking car park area inside CIS. 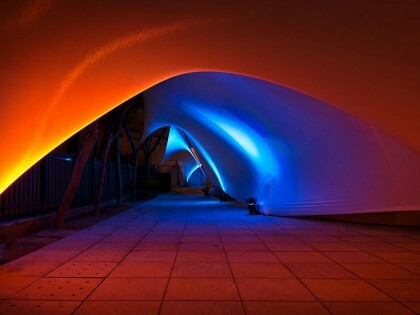 It was full of cars, buses and school children only 24 hours before the photo on the right.